The report on Times of Malta about the increasing unhappiness of expatriates living in Malta confirms anecdotal evidence and the direct experience of many people. Some would say that speaking to people who have been bitten by Satabank might give you a skewed picture. But that incident — still ongoing — is representative of a deeper malaise. The ‘go back to your country’ brigade that doesn’t want to listen, and their cousins the ‘you are jealoussss’ regiment are missing the point here. Malta’s economy cannot grow unless we have immigrants working in our economy. We would not be able to sustain what we have if they left. 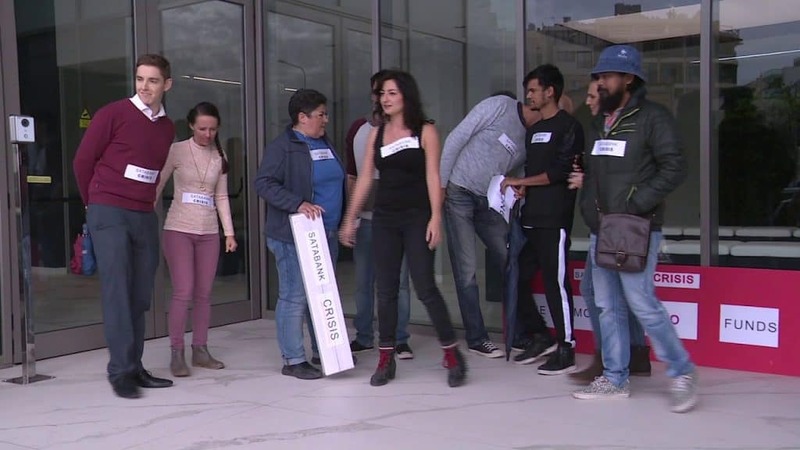 There’s no value added from technology companies or from gaming companies or from, God help us, block-chain companies, if the employment pool available to those businesses is going to be limited to the line of people waiting outside the Minister’s constituency office “biex idaħħalni l-erport”. All those l-aqwa żmien high rollers with their new found money renting out fletsijiet will find their lives transformed when people look to work elsewhere. Not for the better. Thirty years ago we used to get public service announcements reminding us to treat tourists nicely. If we get a reputation for fleecing them, for being rude to them, for scamming them, they will just go elsewhere. Our islander centre-of-the-universe mentality gives us the utterly baseless delusion that this place is so great people will always be knocking our doors to give us their money. Yes Malta makes an attractive offer for businesses opening here and for immigrants looking for work but it is by no means the only option. People will think it’s an exaggeration but at least some intermediaries who work with counterparts in the rest of Europe to help expats move to Malta told me they have had enquiries from Maltese people asking them to put them in touch with their counterparts elsewhere in Europe to help them move out. But it’s slow going for many people to leave Malta when it’s their home. It’s a quicker choice for people who moved here for a better life and now no longer see the point. There are other Mediterranean islands that can give them the lifestyle and climate advantages without the noise. There are other English-language business destinations. There are other tax advantageous jurisdictions. There are other technology hubs. There are other footholds in the EU. And then there’s home that for some expats that have lived here for a while is no longer a worse prospect than living here. But respondents to the survey among immigrants living in Malta complained less about over-development and other factors we can all expect and more about how Malta no longer feels like you’re living in a European, stable democracy. “Corruption seems endemic in all levels of society (…) Corruption in every aspect of governance is appalling”. These are not exceptional views. Nor are they the product of the ‘treason’ people like some of our MEPs and journalists including myself are often accused of when they ‘speak badly of Malta’ to overseas media. They are the direct experience of thousands of people who moved here for a better life and increasingly do not think they have found what they were looking for. At monthly vigils in Valletta out of, say, 300 persons present, 30 or 40 are often immigrants from across Europe. That is a staggering proportion. It reflects a segment of Malta’s population untouched by the tribalism of being born in PN and PL and thus pathologically unable to see Joseph Muscat’s corruption for what it is or to protest against it because Adrian Delia might be annoyed. What’s more these immigrants tell us they come to vigils because it’s one of the rare spots in Malta where they can speak their mind about just how rotten things are here without being told ‘go back to your country’. This survey provided them with a similar opportunity. 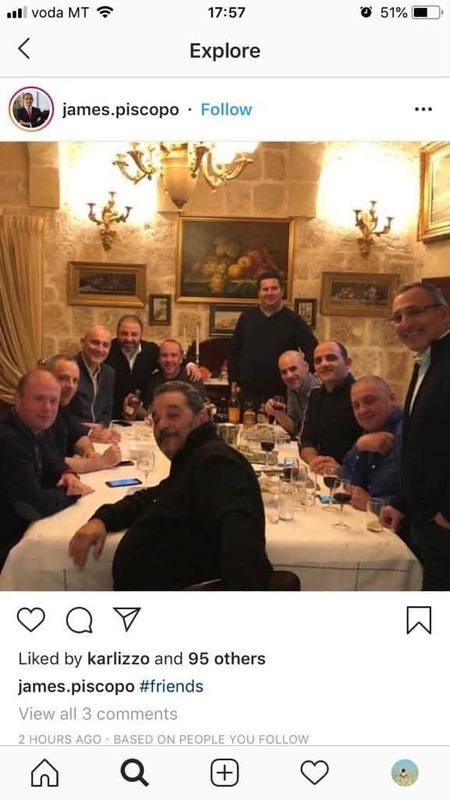 A reader of this website who hails from northern Europe who has now had enough of the shenanigans in Malta reacted yesterday to this picture of Joseph Muscat’s Christmas dinner with his mates. It’s a picture of men around a table: politicians, civil servants, businessmen and at least in the case of some of them suspected criminals. “The picture of the boys looked like a mafia meeting,” she told me.